At Smiles By The Sea, we focus on providing you, our valued patient, with the best care and treatment that dentistry has to offer. Starting with a strong preventive care partnership you and our hygiene team can help insure the continued health of your teeth and gums. Our restorative and cosmetic services take things to the next step, bringing the most out of your smile. We always utilize state-of-the-art procedures, instruments, supplies and techniques to offer a wide variety of options for you and your family. Please browse through the Services Menu to learn more about the specific items offered. It is an extremely exciting time in Dental science and new techniques and materials are being developed all the time. 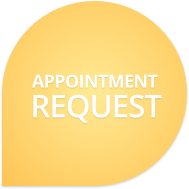 If after checking our service menu you still have questions or want any further information, please don't hesitate to give us a call. We'll either get you the information you need or schedule a consult, whatever works best for your situation.